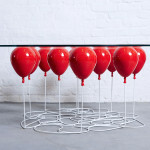 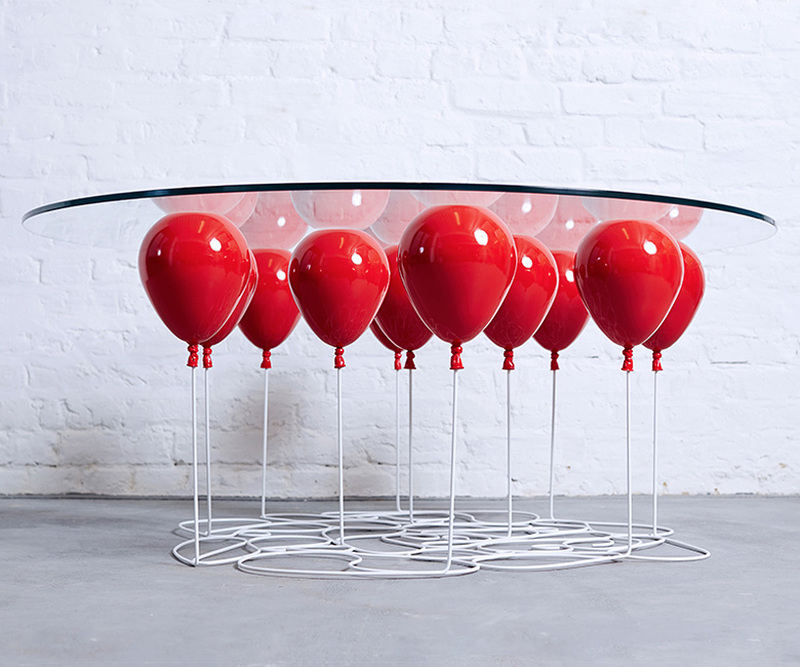 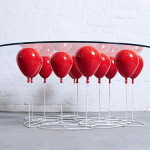 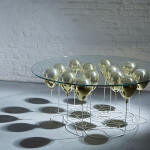 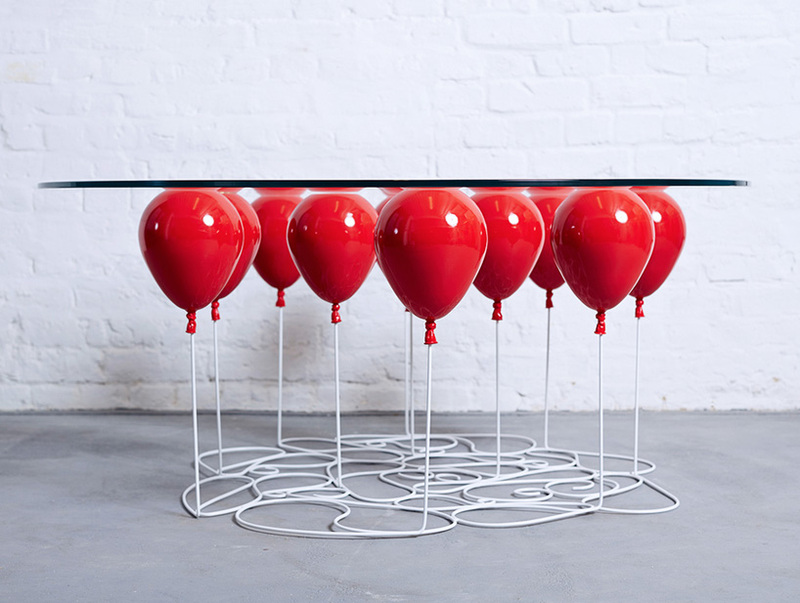 One look at this charming table and you’ll probably find yourself humming the 1980s hit “99 Red Balloons.” The dreamy design of studio Duffy London, the “UP Coffee Table” explores the concepts of levitation and buoyancy to create a trompe l’oeil effect of a glass tabletop being suspended by balloons. 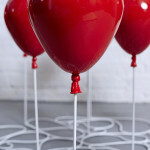 Plus it kind of looks like a cross between a Banksy balloon and a Jeff Koons puppy, don’t you think? 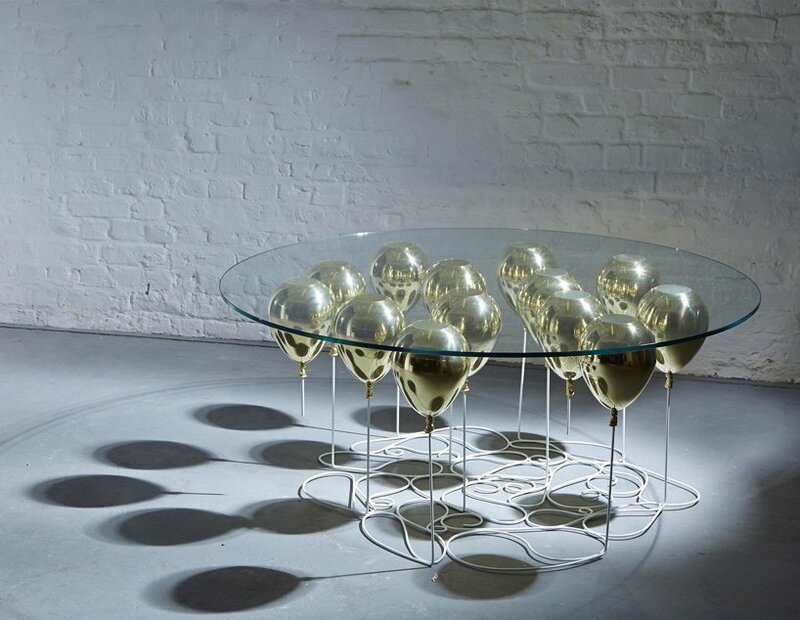 The UP table is a round take on their previous square version, and like its predecessor, each piece has been constructed from toughened glass, metal resin composite and toughened steel rods. 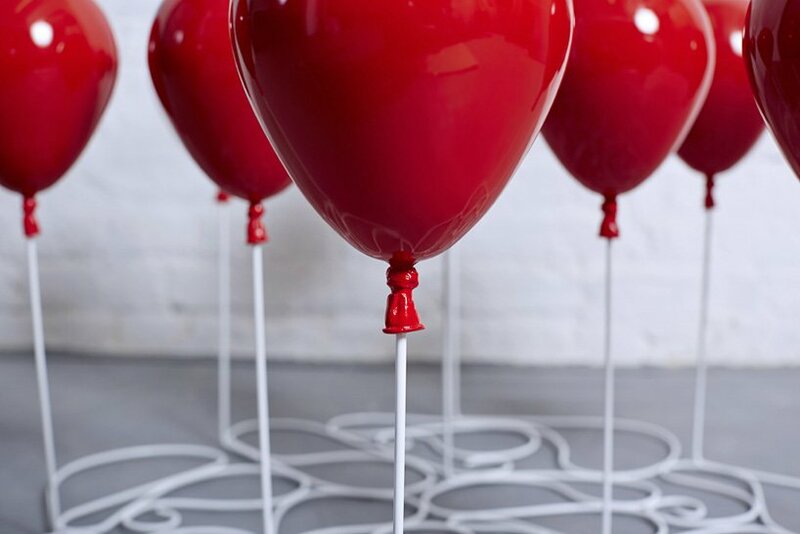 As you can imagine, they don’t come cheap. 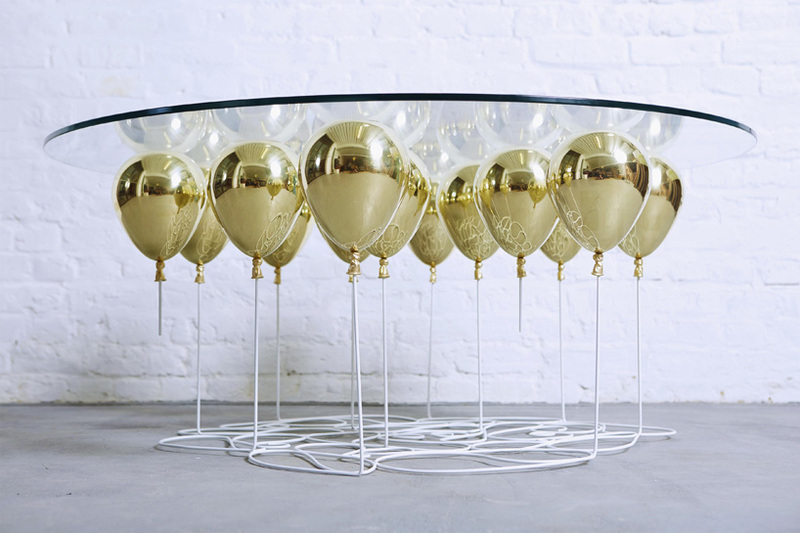 As a limited edition piece with only 25 produced, they’ve been priced at $8,500 a pop. 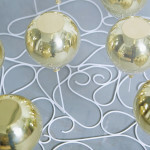 You can get yours in red, gold, silver or a combination. 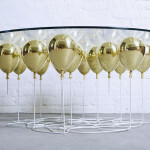 See more from Duffy London here.